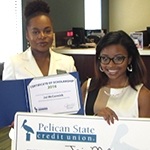 Pelican State Credit Union gives up to $6,000 in scholarships away to Louisiana high school graduates every year. Every one of these students represents Pelican’s mission. They stand out as leaders in their schools and communities. 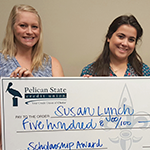 They have a passion for serving and helping their communities, and the Team Pelican scholarship is in place to support those students. Jerica is a graduate of Tioga High School. She was a member of the school newspaper for one year and served as yearbook editor for two years. 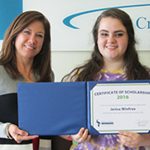 She earned the Academic Excellence in Dual Enrollment Award for American History during her high school career! She plans to attend Louisiana State University and pursue a career as a prosecuting attorney. 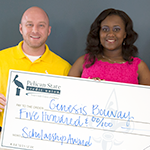 Genesis is a graduate of Plaquemine High School. She was a member of the 4-H and BETA clubs and served as the Plaquemine High Class Representative. She earned several awards during her years in high school, including Student of the Week and the 1st Maid for the Women’s Elite Club Cotillion! 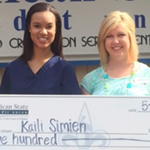 She plans to attend Southeastern Louisiana University and pursue a career as a veterinarian. Lucia is a graduate of Baton Rouge Magnet High School. She was a member of the Robotics Team, where she served as the Head of Marketing. She also served as the Interact Club Historian, the SGA Parliamentarian and the Economics Club Vice President. 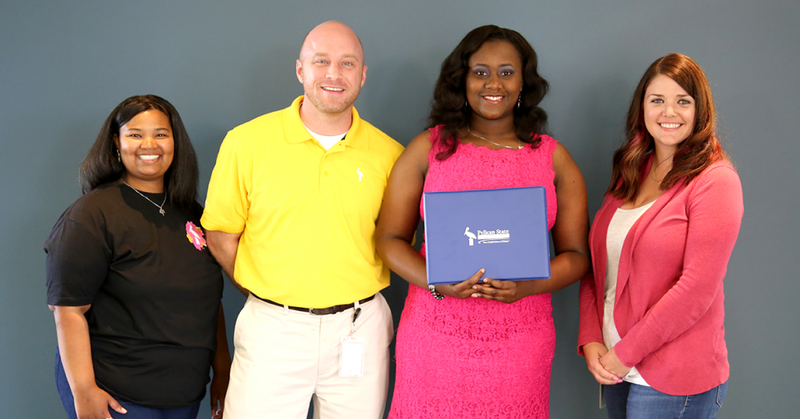 She earned several awards throughout high school, including first place at the State BEST Robotics Competition! She plans to attend UT Austin and pursue a career as a financial analyst. Joi is a graduate of Caddo Magnet High School. She was a member of the National Honor Society and Mustang Gymnastics Team. She also served as captain for the Mt. Olive Praise Dance Team. She earned several awards throughout high school, including Highest GPA Award! She plans to attend Louisiana Tech University and pursue a career in the medical field. Jordan is a graduate of East Feliciana High School. He was a member of the Student Government Association and the football team. He earned several awards throughout high school, including Principal’s Award! 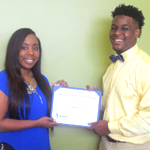 He plans to attend Southeastern Louisiana University and pursue a career as a mechanical engineer. Susan is a graduate of Denham Springs High School. She was a member of the Denham Springs Freshman High Beta Club, where she served as Vice President. 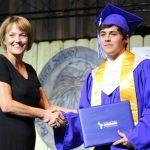 She earned several awards throughout high school, including the Livingston Parish Students Against Destructive Decisions Student of the Year! She plans to attend Louisiana State University and pursue a career as a journalist. 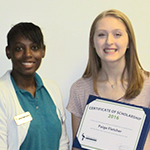 Paige is a graduate of Ouachita Parish High School. She was a member of the National Honor Society and the Gridiron Girls. 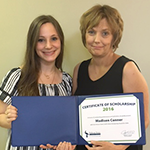 She earned several awards throughout high school, including school valedictorian! She plans to attend the University of Louisiana at Monroe. Kaili is a graduate of Academy of the Sacred Heart. She was a member of the Student Council, Varsity Cheer Team and Social Justice Club. She earned several awards throughout high school, including Highest Honors for achieving a GPA greater than 4.0! She plans to attend Duke University and pursue a career in the medical field. Nathaniel was homeschooled throughout his high school career. He was a member of the 4-H Club, where he served as President. 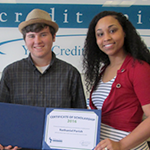 He earned college credits during high school through the Dual Enrollment Program at Louisiana State University of Alexandria! He plans to attend Louisiana College and pursue a master’s degree in Communication Studies. Ma’Kayla is a graduate of Peabody Magnet High School. She was a member of the soccer team, Beta Club and served as President of the Healthy Living Club. 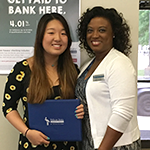 She earned several awards throughout high school, including the Outstanding Entrepreneurship Student award and the 2016 Student of the Year for Peabody Magnet High School! 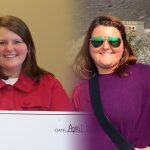 She plans to attend Northwestern State University and pursue a career as a teacher, with the goal of teaching high-risk elementary school students in Louisiana. 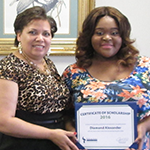 Diamond is a graduate of East Feliciana High School. She was a member of 4-H Club, Poetry Club and the Marching and Concert Band. She earned several awards throughout high school, including Student of the Month! 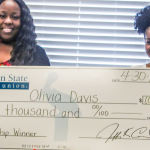 She plans to attend Baton Rouge Community College and pursue a career as a registered nurse. Madisen is a graduate of Grand Lake High School. She was a member of the Senior Beta Club, where she served as Vice President. She also served as Head of the Student Council Philanthropy Committee. She earned several awards throughout high school, including Student of the Month! She plans to attend McNeese State University and pursue a career as the owner and operator of an interior design and decorating company. 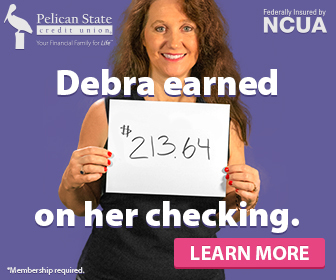 Our scholarship program was founded nine years ago and is one of many reasons why it pays to be a member of Pelican. 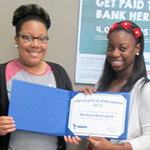 Our Team Pelican youth account holders aren’t just eligible for scholarship awards, either. They can also get paid for getting good grades on their report cards! 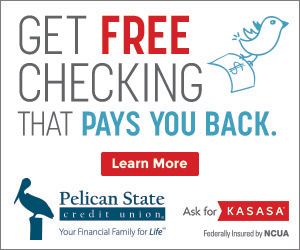 Interested in a Team Pelican scholarship? Applications for 2017 high school graduates will be accepted from January to April of next year! 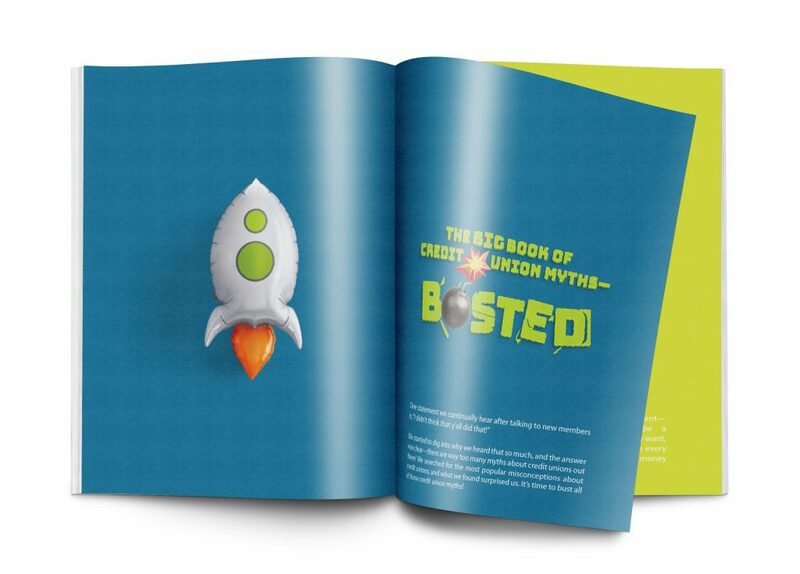 If you want to get more information on our Team Pelican youth accounts or our application process, visit pelicanstatecu.com/TeamPelican. 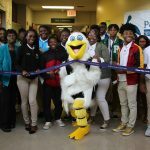 Team Pelican Scholarship Winners: Where Are They Now?